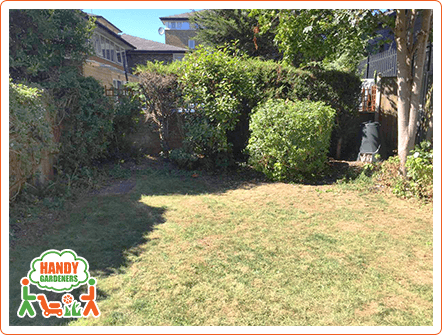 When the clients from Finsbury Park contacted us at first, they had no idea how to transform their garden and turn it into a more pleasant area. 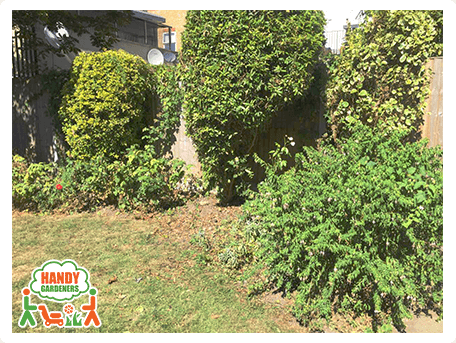 We inspired them with creative landscape design ideas and so they hired our landscapers on the very same day. On the day of the appointment everything went smoothly. 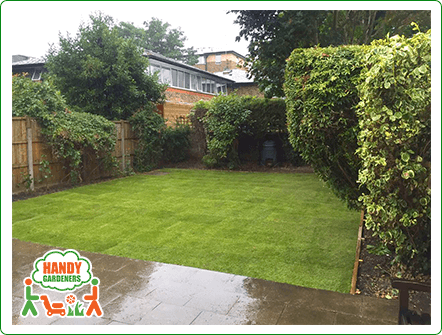 It took only just 8 working hours in one day to deliver a completely re-designed garden, ready for lunches and dinners with guests and family. 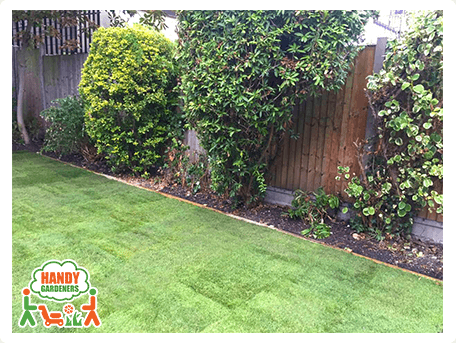 The landscapers started with removing all of the old turf of a 60 square meters lawn, leveled the area and installed the new high quality natural turf for a perfect look. Plants and bushes were supplied and planted upon client's taste, as they were also given professional planting advice for further care. Step 1. The Viewing. 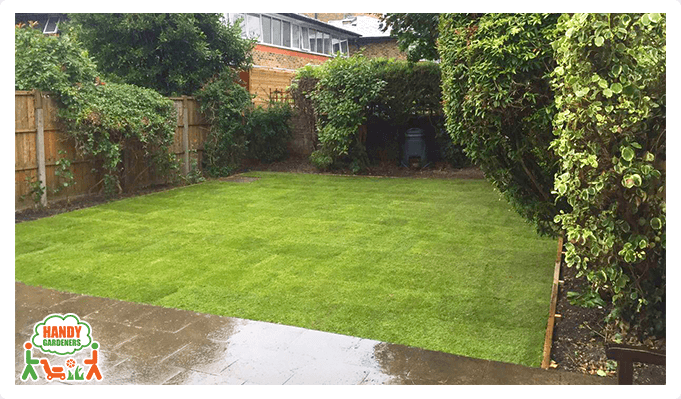 The most important thing for this landscaping project to be carried out was the viewing that we organized before mapping out the necessary work and materials and committing the project in N4, Finsbury Park. Our professionals took measurements, assessed the work need, observed the area that needed transforming, discussed the client's ideas and re-created them in the best way possible. Step 2. Preparation. After the visit, there were a few days spent in long conversations with our clients. 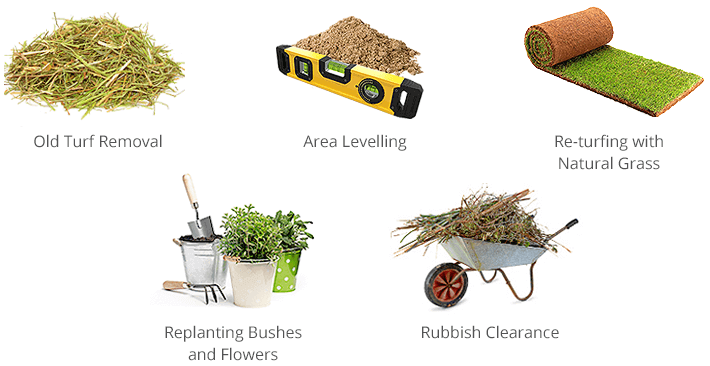 This is relevant in order to choose the exact type of materials, to specify the sort of plants and flowers that will suit best the garden and will live longer giving the particular soil and weather conditions. So we took all the above mentioned information into consideration when preparing for the execution of this landscape project. Step 3. Garden Clearance. 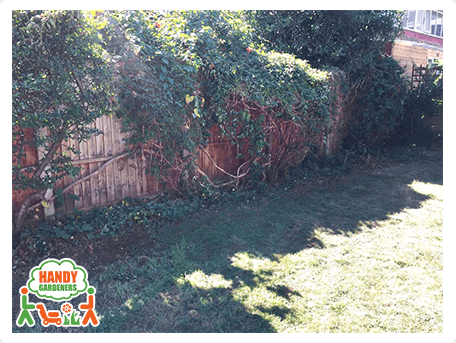 In the very beginning of this project the garden had to be completely cleared from unnecessary weeds and overgrown plants. 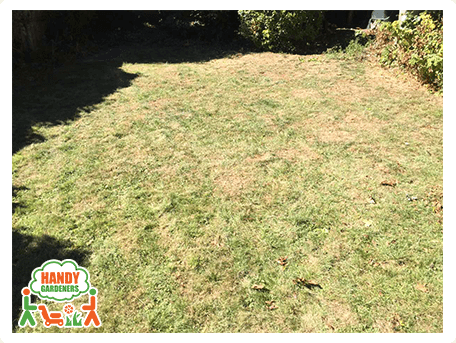 The old turf was removed and everything was collected and prepared to be disposed of at the end of the working day by the gardeners. Step 4. Ground Leveling. The ground was leveled and smoothened out with the right equipment so it is prepared for the installation of the newly provided turf. By leveling the ground, we make sure that there will be no bumps after the new turf is laid out. Step 5. Re-turfing with natural grass. 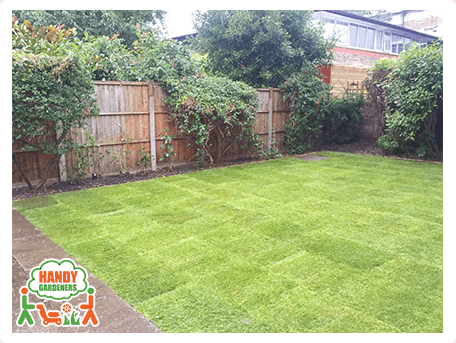 After the leveling of the 60 sq.m area, our handy gardeners continued with rolling over and installing the natural turf carefully and neatly, so it formed a healthy lawn.